CEOs from Swarm and Securitize among experts to discuss security token trends at crypto's biggest industry event in Barcelona. When the crypto winter hit last year and ICO volumes plummeted, critics divided the blame for fairly evenly between the inherent volatility of ether and low adoption of security token trends, both leading to high losses on defunct projects framed inappropriately as investment opportunities. Are STOs better than ICOs? While some cryptocurrency experts focus on stablecoins as a price stabilizing measure, other blockchain advocates have lobbied for increased transparency from fundraisers. There is a growing demand for the use of security tokens, as these are subject to regulation, offering investors additional layers of legal and financial protection. However, while the number of security token platforms has increased exponentially over the last year, STOs have not seen the explosive levels of growth which greeted the first generation of ICOs. Finance Magnates has dedicated a session of the upcoming Barcelona Trading Conference to exploring why security token promises have not lived up to their full potential. Additionally, the experts on the panel will debate which solutions are likely to speed up the implementation of blockchain securities trading. There are at least two major strategies used by the majority of today’s security token trends. The first is democratization. Companies such as Swarm work primarily with existing equity funds to provide additional trading avenues without the need for creating an entirely new business structure. The firms are able to access new sources of liquidity, and it levels the playing field for investors who would not typically be able to participate in these types of investments. In an interview with John Furrier of The Cube during Blockchain Week NYC 2018, Philipp Pieper, Co-Founder and CEO of Swarm Fund said that most of the preparation in their STOs goes into vetting the issuing companies. Other companies offer a more nuanced approach. Digitial compliance provider Securitize has moved away from the notion of issuing tokens, and instead terms their product a digital security. This is partly due to a terminology gap between traditional investors and blockchain evangelists. As cryptocurrencies are still not a fully trusted asset class by the average person, a security token can be a harder sell, even when those investors are interested in diversifying their portfolios. But those same investors approve of trustless transactions. 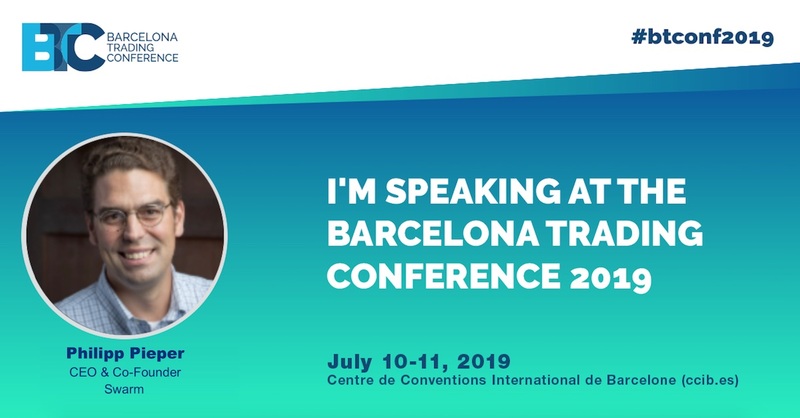 To learn more about the state of this emerging technology, register for Barcelona Trading Conference taking place on July 10-11, and attend the “Security Tokens: Current Status and Next Trends” panel, which will be moderated by Ziv Keinan, Co-Founder of Security Token Lawyers. Carlos Domingo, Philipp Pieper, and several other top security token experts will be on hand to give their opinions and insights.